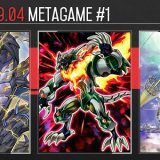 Welcome to Week #2 of the OCG 2018.04 format. 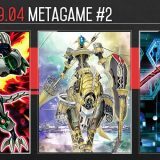 This report will cover 42 top-performing decks from 6 tournaments that were held in Japan and China during 6 – 10 April 2018. 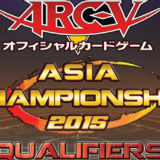 A change in the trap line-up has allowed Altergeist to compete against top contenders in the current competitive scene. 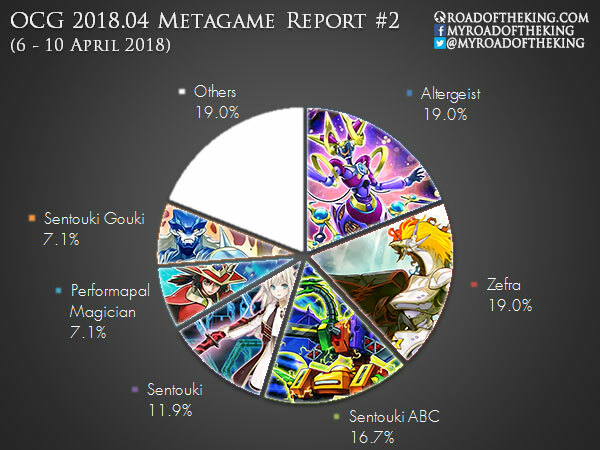 As the metagame shifts to more Spell-heavy format, Altergeist has begun reducing Altergeist Protocol from 3 to 2, and Altergeist Manifestation from 2 to 1, to make space for Anti-Spell Fragrance. 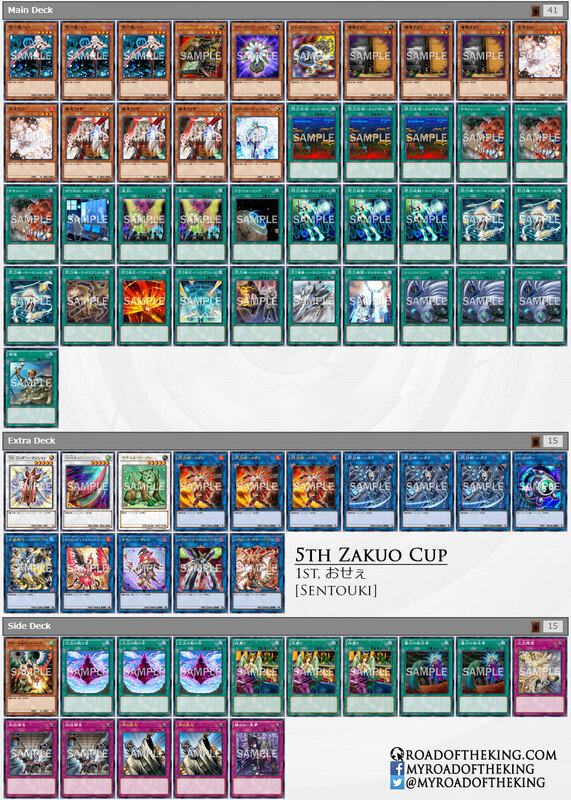 Not only is Anti-Spell Fragrance great against Sky Striker and decks running Sky Striker engine, it also strong against the Pendulum decks, Zefra and Magician. 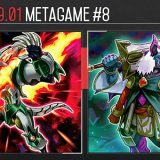 Running the full 3 copies of Ghost Reaper & Winter Cherries also ensures that they are able to consistently deny the opponent of their Sky Striker Ace – Kagari, Crystron Needlefiber or Heavymetalfoes Electrumite. 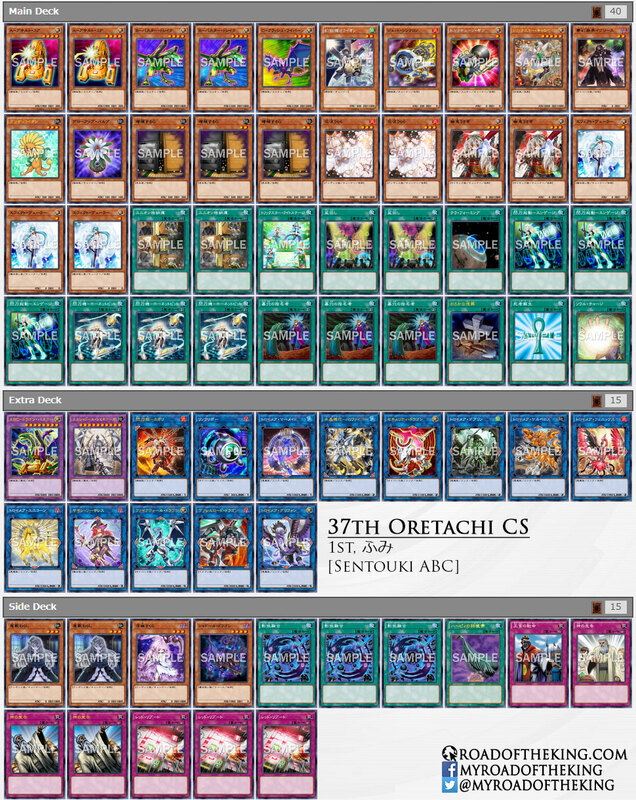 Banishing these Link Monsters is sufficient to cripple most of the current popular decks. GenGen went 6-1-1 and finished 1st in “38th Adachi CS with Hatti CS” (Team 3v3). Kura (くら) went 7-2 and finished 3rd in “68th Aichi CS in NextPro Osu Shop with Hatti CS” which had 52 participants. 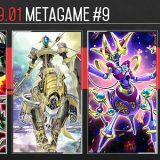 He is running the Mare Mare package consisting of 2 Armageddon Knight, 1 Destrudo the Lost Dragon’s Frisson, 1 Mare Mare and 1 Yazi, Evil of the Yang Zing in the Side Deck. 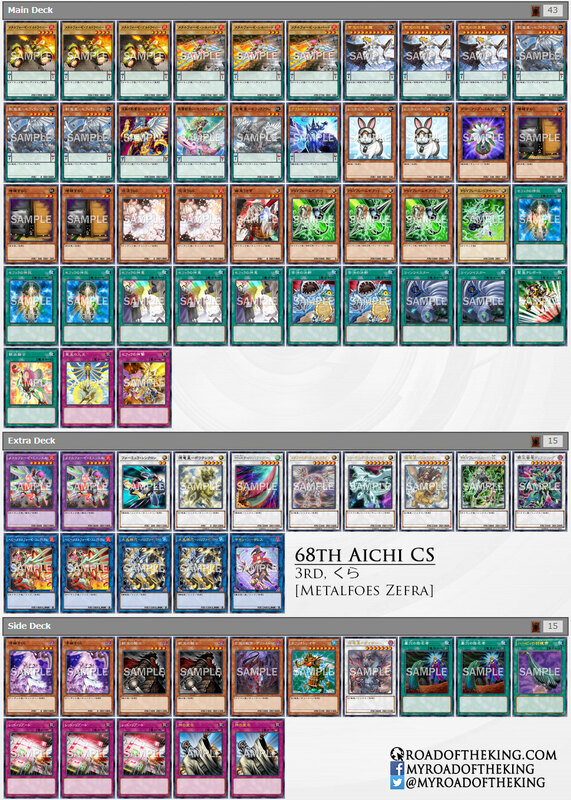 The Metalfoes Zefra build is relatively weaker against Anti-Spell Fragrance, hence having additional outs in the form of Yazi, Evil of the Yang Zing is beneficial. Yazi also follows up into Mare Mare, generating massive advantage to clear the opponent’s board and opening up for an One-Turn-Kill. 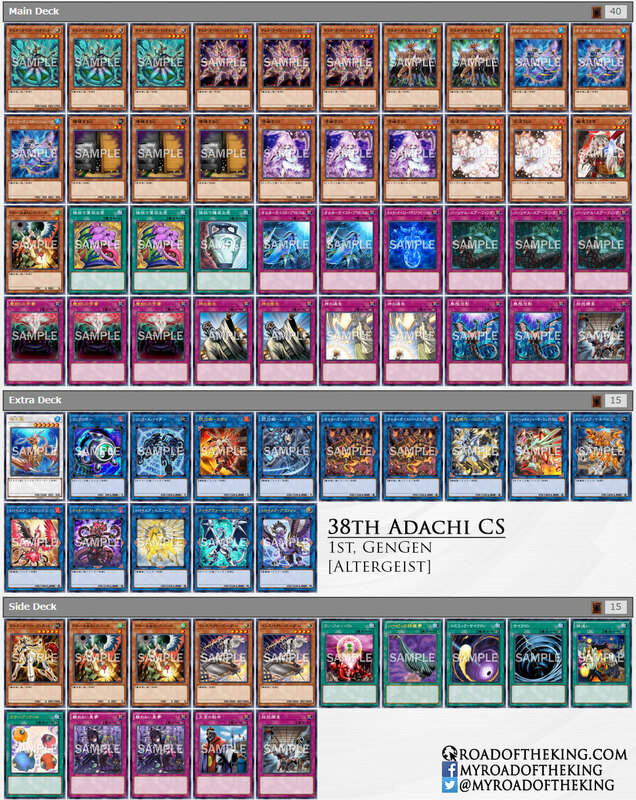 Fumi (ふみ) went 8-0 to finished 3rd in “38th Adachi CS with Hatti CS” (Team 3v3), and went 7-1 to finished 1st in “37th Oretachi Trading Card Division CS” which had 40 participants. That brings his overall record to an astonishing 15-1. This is the current standard build. 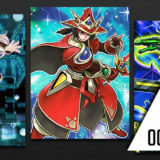 Some minor variations seen are a second copy of Glow-Up Bulb, a second copy of Trickstar Light Stage, and Sky Striker Ace – Shizuku in the Extra Deck. Osee (おせぇ) went 8-1 and finished 1st in “5th Zakuo Cup” which had 61 participants. 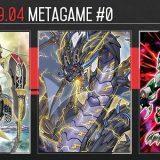 He has chosen to max out on Sky Striker Airspace – Area Zero in order to run Set Rotation, which is quite useful against ABC and Zefra. 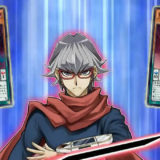 Set Rotation is used to give the opponent Sky Striker Airspace – Area Zero and yourself SPYRAL Resort. 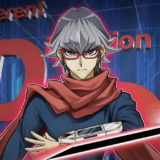 SPYRAL Resort will then fetch for SPYRAL Super Agent whose effect can be activated to Special Summon itself and destroy Sky Striker Airspace – Area Zero, if you called correctly. When Sky Striker Airspace – Area Zero is destroyed and sent to the graveyard, its effect would then Special Summon Sky Striker Ace – Raye. 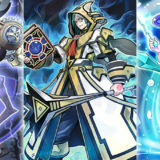 From there, Sky Striker Ace – Raye and a Tuner monster can Link Summon Crystron Needlefiber, whose effect will then Special Summon Glow-Up Bulb. 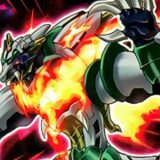 Glow-Up Bulb and SPYRAL Super Agent can finally be used to Synchro Summon Naturia Beast. 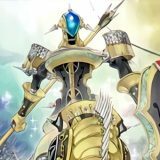 Sky Striker is losing foothold as the current competitive scene is heavily teching against them, running cards such as Anti-Spell Fragrance and Imperial Order in the Main Deck. 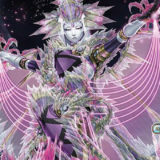 Running 2 copies of Solemn Judgment in the Side Deck is also currently trending. When going first, having Solemn Judgment to protect the opening setup ensures that the opponent has no way to comeback even with Evenly Match. can someone explain how lair of darkness noids just disappeared after just one week? i get anti-spell fragrance and imperior order, but they weren’t played a lot for the 1st week. are those the main reason or am i missing something? 6 tournements every week on average. so basically, the amount of tournaments didn’t give it enough time to get a spotlight? Is that it? 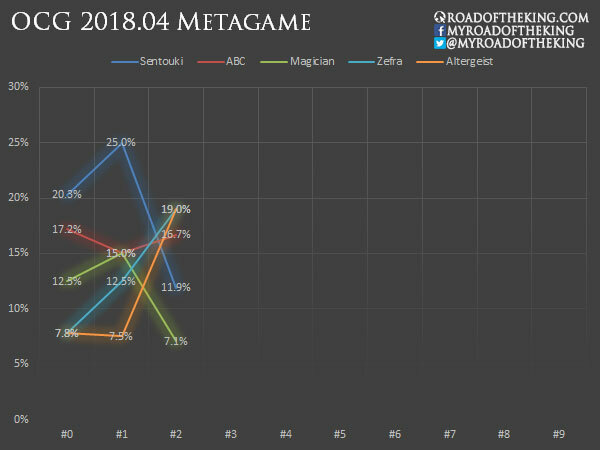 Not a big drop for Sentoki I think. 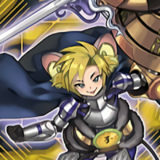 Zefra is coming back. can anyone find that kozmo deck?